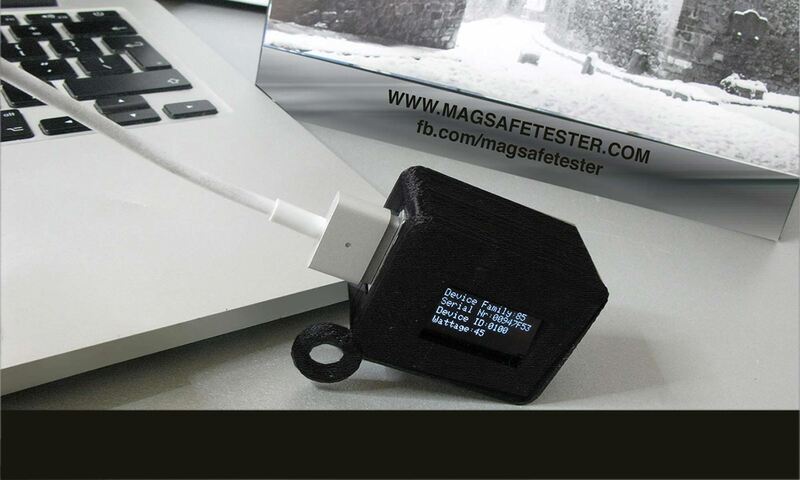 Magsafe tester is device with which you can test your apple adapter. Just plug magsafe connector to tester wait 20 – 30 s and it will start blink Red Green Amber. If adapter is not Genuine it will be just green and red.There is also LCD and you can see wattage, serial number and id of your magsafe adapter.Because connector is for magsafe 2 you can test magsafe 1 but need to tune power jack. With MagSafe Tester you can easy and fast test Apple Power Adapter status work or not as well can use as a tool to differentiate between the fake and genuine Apple Power Adapter. We are Laptopservice BG Ltd small company based in Bulgaria.